Our worship space offers us a sacred place where we encounter our Lord and grow in communion with Him and with each other. It is where we receive the Eucharist, “the source and summit of our faith,” and it is the center of our community. Since our parish was established as a tiny mission 30 years ago, our community has grown tremendously, and we are now home to nearly 300 families. The population of New Kent County has nearly doubled over the past 25 years, and, in 2008, the U.S. Census Bureau ranked the county among the nation’s 100 fastest-growing counties. Constructing the Family Life Building for Religious Education and enclosing the pavilion have greatly strengthened our parish by fostering fellowship and the formation of our youth, but our worship space can no longer fully accommodate our community. It seats 150 people comfortably, but we often have 170 or more parishioners attending, which means some must stand throughout the whole Mass. Parish Case Element: Building a simple but elegant colonial-style church that will seat 340 will enable our community to more fully welcome all our members at Mass and position us for future growth. The stone altar will provide a focal point where we fix our attention on the Lord, and the sacristy and vestry at the front of the church will enable our priest, altar servers, and sacristans to put on vestments and prepare the vessels for Mass. The narthex will serve as a transition point from the world into the sacred space of the church, providing a space for parishioners to greet one another while preserving silence and fostering prayer in the church building. 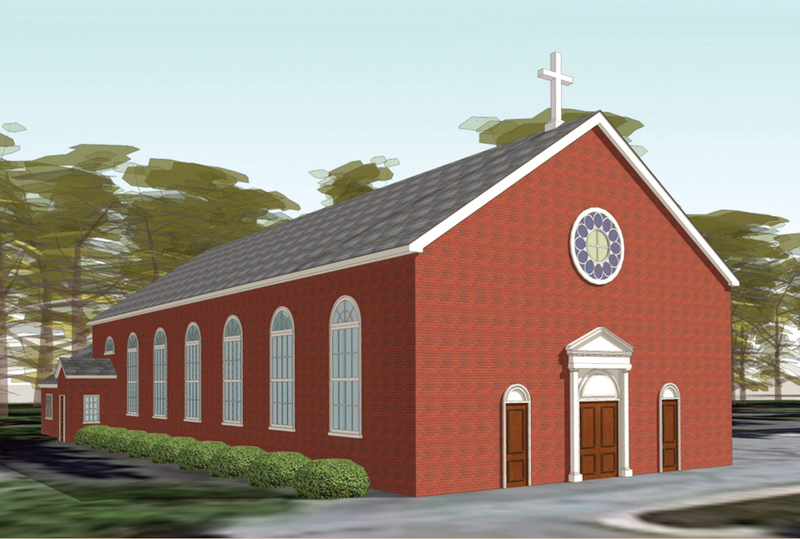 It will cost approximately $1,300,000 to build the new church. Our goal is to raise our milestone of $700,000 by June and a total of $950,000 before we can begin construction. We can use a mix of cash on hand ($50,000) and debt financing ($450,000) to fund the remainder. 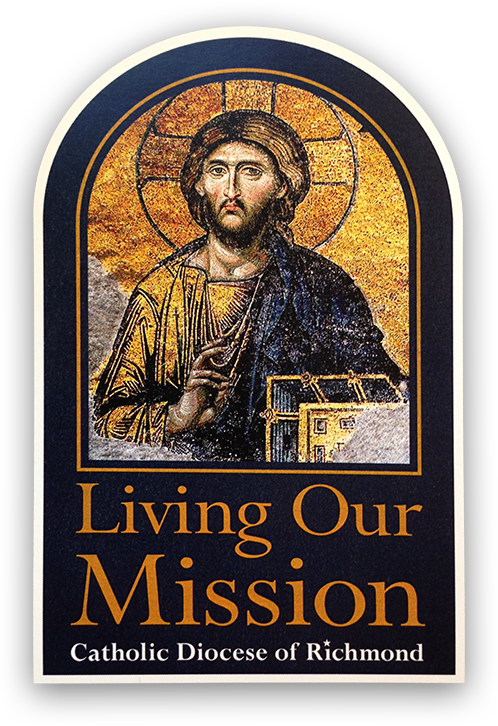 The Living Our Mission campaign provides an excellent opportunity for us to finally realize our dream while also advancing the work of the larger Church. 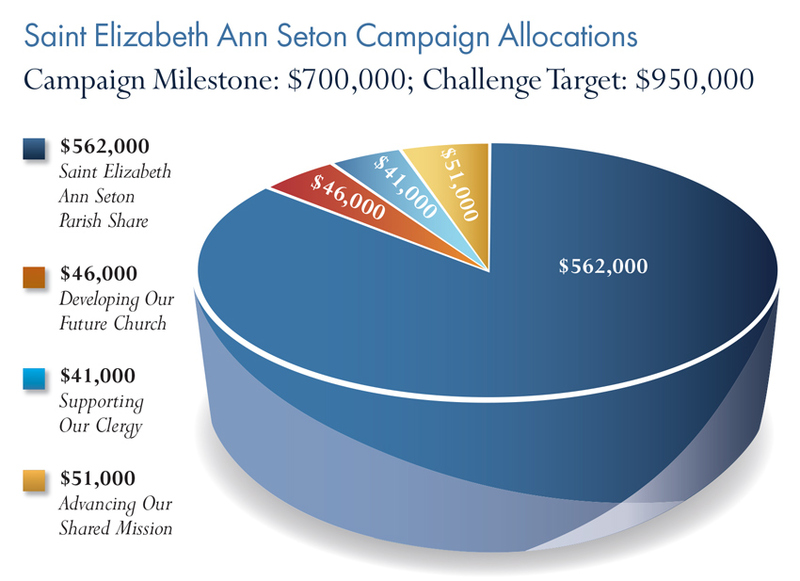 In addition to receiving 80 percent of funds raised up to our milestone of $700,000, we will receive a bonus share of 100 percent of funds raised between the $700,000 and $950,000 mark, netting us a parish share of $812,000 up to our challenge target of $950,000. We will receive 90 percent of funds raised over our $950,000 challenge target. Raising additional funds in the future would enable us to pave our parking lot, add stained glass windows, and otherwise enhance our worship space. Living Our Mission is an opportunity for us to rally together and build up the Body of Christ in New Kent County and beyond. Your faith-filled generosity will be a blessing to you, enable our parish to build a church, and advance the mission of Jesus Christ across our community. Please join me in making your best sacrifice for this effort. Rev. J. Scott Duarte, J.C.D.